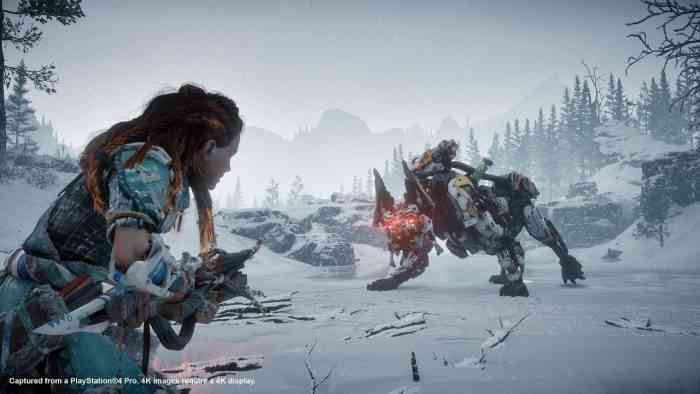 Horizon: Zero Dawn’s first expansion The Frozen Wilds didn’t have to do a whole lot to sell me on trying it out. It’s more Horizon: Zero Dawn, one of the best games of 2017, why wouldn’t I want to jump in as soon as possible? The challenge, however, would come from the new chapter’s ability to maintain what made Horizon so great while adding a few new elements to spice things up. I can gladly report that The Frozen Wilds has met that challenge and exceeded it, offering the same heart-pounding action in a new and interesting tale. Aloy’s venture to the treacherous northern region called The Cut deals with the Banuk, a highly spiritual tribe whose rituals and beliefs gives me Native American vibes. There’s a great disturbance in Thunder’s Drum, the Frozen Wilds’ tallest mountain, and Aloy must build her reputation with the Banuk tribe and its leaders before she can investigate it. The power struggle dynamic between the two head Banuk, peppered with Aloy’s trademark no-nonsense quips and overall awesome attitude, easily holds my interest. Each character’s motivations are clear and logical; I can understand why the one leader doesn’t want to lose any more warriors while agreeing with the other that whatever’s going on up there needs addressing. Seeing this play out made me want to keep playing, as even though I wanted to get to that mountain as soon as I laid eyes on it the characters gave me even more of a purpose throughout the story. Oh, and once I get to the mountain the game sets the table so well for the future of Horizon that I’m giddy at the thought of it, so look forward to that. The Frozen Wilds doesn’t make any changes to the core gameplay, following the tried and true “don’t fix what isn’t broken” philosophy. What it does do is introduce a new type of Corruption, a purple glow of malevolence that turns the machines into “Daemonic” forms and ups their power. Satellite dish-looking devices are scattered through the map, which can be overridden or destroyed to remove the buffs and bring things back to normal. I highly recommend disabling every dish that’s encountered, as Snapmaws are plenty tough without the Daemonic presence boosting their abilities. There are also some new toys for Aloy, but unfortunately, they don’t do much in the way of changing the game. I spent the majority of The Frozen Wilds using the same equipment I finished the main game with, and I had hoped there’d be something worth picking up in the northern wilds. 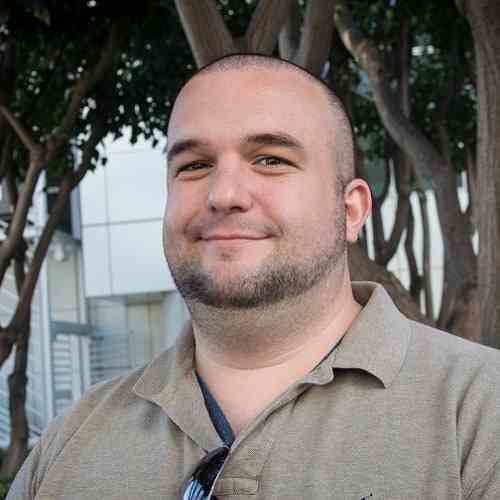 Perhaps the Cut-specific currency called Bluegleam, a natural resource found throughout The Cut and the only way to purchase the new gear is what turned me off from this new gear, as I was content with keeping my current loadout. At least Bluegleam wasn’t a microtransaction-based currency though, right? The expansion also brings two new types of beasts, both of which are not very pleasant to deal with. The first is a Scorcher, a fire-based sabretooth tiger-esque machine that is a problem right off the bat. It’s powerful, it uses an area-of-effect fire blast attack that hits me every single stinkin’ time, and it’s fiendishly hard to outrun. 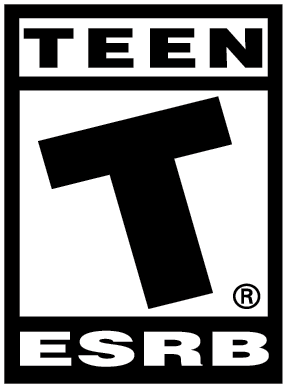 That said I LOVED fighting them, their adept skills really taking me to the limits of my skill. The second is the Frostclaw, which I won’t talk about (some things need to be experienced first hand) other than saying this beast may be one of the best enemies in the entirety of Horizon. There’s one battle in particular about halfway through involving Frostclaws that still makes my heart pump almost a week after I fought it. 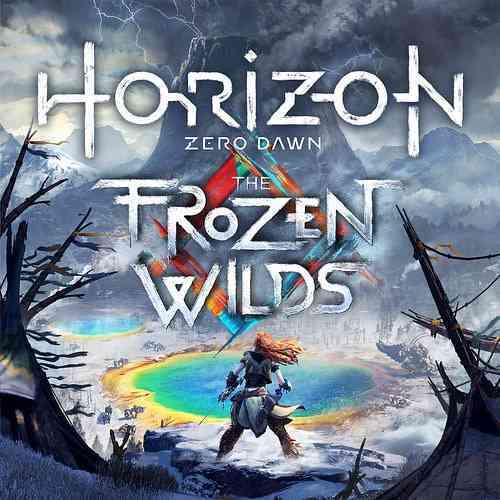 I could summarize The Frozen Wilds in three simple words — it’s more Horizon — and that would be enough for some, but that simple sales pitch really doesn’t do the whole thing justice. The Cut is equally beautiful and treacherous, the struggle of the Banuk is fascinating, and the new machines lining this new world are awesome to take on. 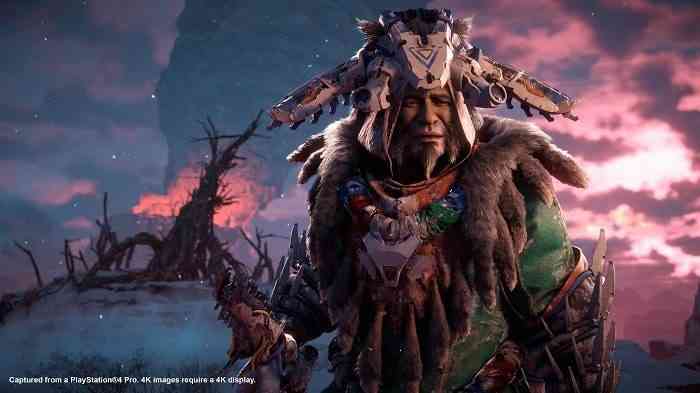 The Frozen Wilds sets Aloy in a clear new direction while maintaining the same excellent gameplay we loved back in February, and I couldn’t be more pleased with it.